I am often asked, when I’m talking to arts, general interest and history groups, what project or commission I have done which has meant the most to me. Without a doubt it’s the Books of Remembrance for Great Ormond Street Hospital for Sick Children. This year I have been associated with this for over 25 years, and there are more than 3,200 names written in what are now four volumes. 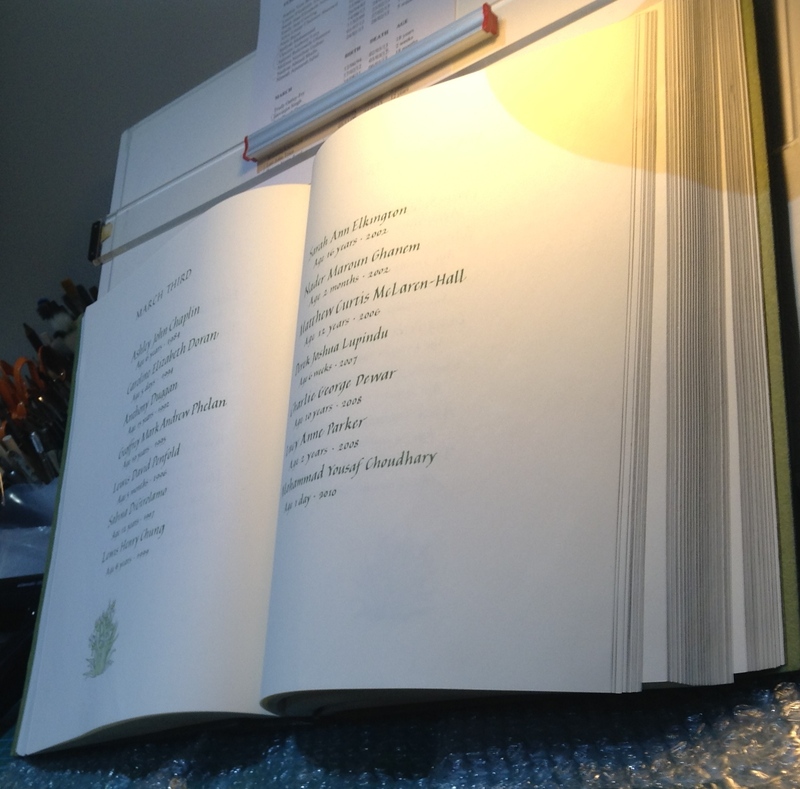 I was fortunate enough to have been involved from the very beginning such that when I was asked where to buy books of remembrance, I was able to say that the best place to start was with the paper, and then get it bound, and fortunately this is what happened. It makes setting up the book such as drawing the lines so much more straightforward and it is much quicker to work initially on flat pieces of paper. Important decisions were taken early on in the planning. 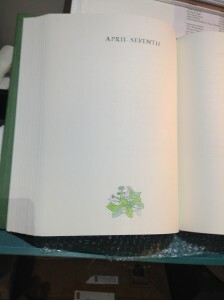 Rather than a list of names, the book was to be a ‘day’ book, whereby each day would be on display consecutively, showing those children who had died on that date. This meant that there were to be 366 pages at least for the days, plus prelims and pages at the end, including the colophon. Most books of remembrance are written in black, red with sometimes a touch of gold. 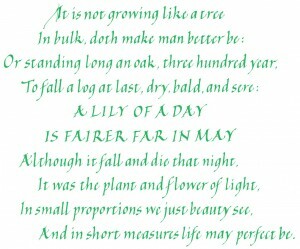 This seemed too cold and harsh for children, and we decided early on that green would be the best colour to use; it suggests youth and, indeed, life. Oxide of chromium calligraphy gouache is one of the best colours to write with and it is a fresh and light colour, yet with good coverage, and this is the colour I chose to use. It is from the Schmincke Calligraphy Gouache set of paints that I developed, and so is particularly finely ground to pass easily through the pen. Another decision that was made before any pencil had been put to paper, was how the record of the children’s lives should be written. We had much discussion about the dates – 1st January 2014 – 3rd March 2014, or 1 January 2014 to 3 March 2014, or 1.1.2014, or 1.1.14 etc etc. The night before the final meeting and sign off I realised that these forms of dates were appropriate for monarchs and politicians, but were just not right for children. For children we think of their age, not their dates. So the ages are written in specifically – until 2 weeks the age is recorded as the number of days, from 2 weeks to 2 months in weeks, from 2 months to 2 years in months and after that in years. I made quite a few trials on how the pages should be set out, avoiding anything over fussy and elaborate. Again for the children we didn’t want a tightly spaced list. For a number of children, their short lives are full of drips, bandages, injections, and general intrusion; at least in death, we felt, there should be some space for their names. The book is large, and when open is about the size of a small coffee table. There are only 14 names of children, with their ages, on each two-page opening spread, 7 on each page. 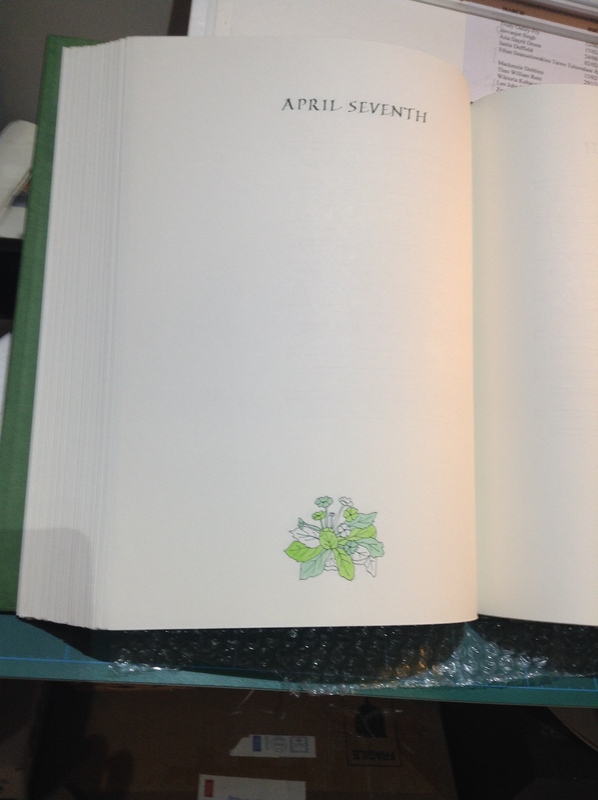 As the book was to be open each day for that date, I realised that, initially, there would be many pages with nothing on them apart from the date at the top. I suggested that I paint a little flower picture on the left-hand page for a bit of visual interest. 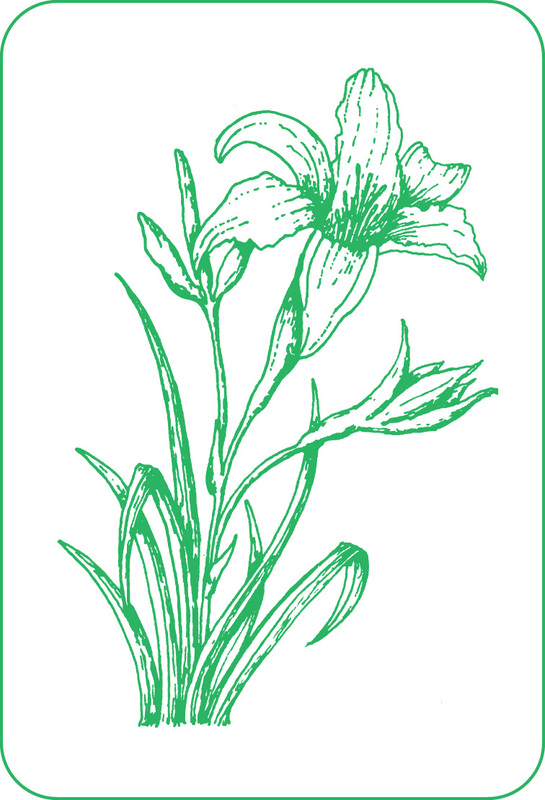 I chose what were generally British flowers appropriate for each month of the year, but I did also add a personal touch here, in that they were flowers that I enjoyed drawing. Calligraphy and illustration on the same page can be a problem – which should be more important? In this book it certainly was the children’s names, so a full colour, detailed painting would have detracted from these. After much experimentation I decided on something simple and compatible with the design of the book. 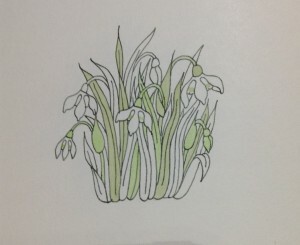 I outlined the design with a fine dark green line, and used two colours of dilute watercolour to paint only some of the flowers and leaves, leaving others uncoloured; similar to the children’s lives – they are finished but not complete. I had the choice of paper, and so chose a favourite Arches which is quite robust, not too thick but also not too expensive. I experimented with pen nib size on the paper I was to use. Some names are very short – Sam Dun, for example, other children may have five or even six long names. How to give prominence to Sam, yet not have to squeeze the multiple names so much so that they would be almost illegible. I also decided to make the age and the year smaller, so that the names were prominent. Then it was the time to start. I set out a template so that I could rule lines across the opening spread of both pages – wider guidelines for the names and narrower ones for the ages; I also needed guidelines for the beginning and endings of the columns. Just ruling the lines took well over a week of long days. Simply folding the paper to make the pages of the book took over a day. I added some red and a bit of blue to darken the oxide of chromium green for the dates to head each paper. Again this was not straightforward. What size nib, and thus size of writing, would be best to use to allow for large lettering that will cope with both December twentysecond to be written along one line (not two) and yet May first would not be lost? 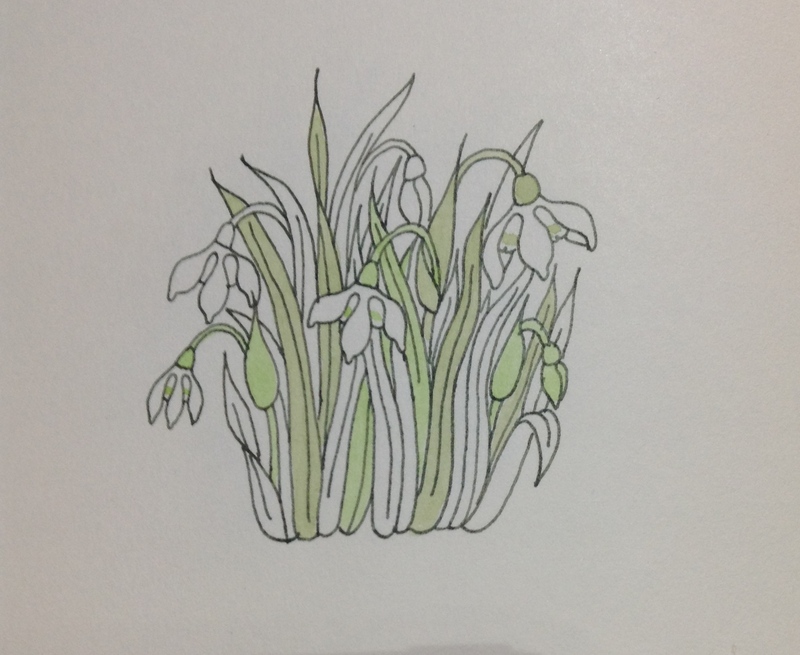 I lost count of how long each little flower drawing took – all 366 of them – but this was a labour of love, not one where I was totting up the hours. 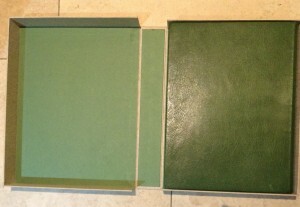 What I did realise fairly soon, having all these pages stacked up in a huge pile, was that one book would be far too unwieldy, and asked the hospital if they could stretch to having two books bound by designer bookbinder Jen Lindsay. In fact, although not planned, this resulted in a great positive in that one book could be on display while the other volume was then available for the names to be written in. 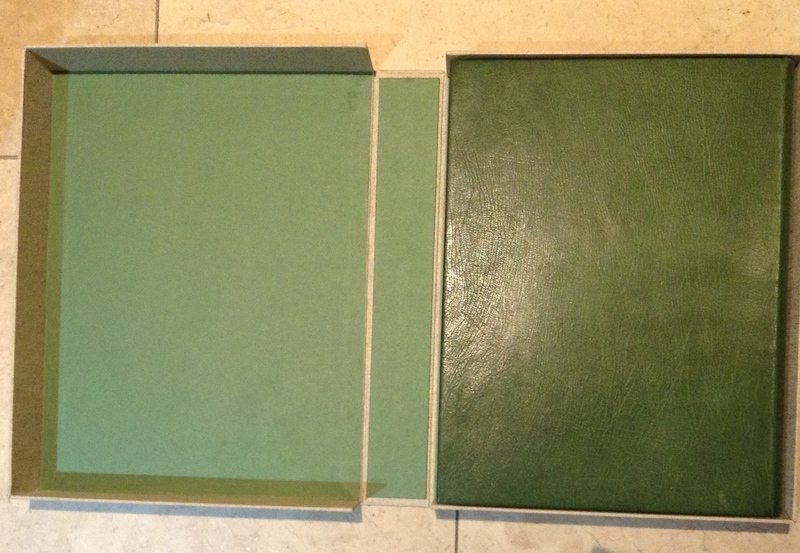 Jen did a great job of binding the books in a matching green leather, and made two book boxes which keep the volumes protected and safe when being stored. The names are written in at least twice a year, and we are now into volumes 3 and 4 because some of the pages in the original books are full. For those of you who are calligraphers, the names are written in a pen nib size of 3·5, and the ages in the line underneath in the smaller nib size of 4. I am now on my second sets of nibs after 3,200 names. Before I begin writing in the names I set everything out on a stool as on the right. A well-used kitchen towel protects the stool top, and on this a Chinese jade (coincidentally also green!) 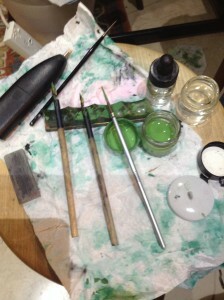 pen rest has dips for the two pen nib sizes and a paint brush for mixing the paint. I use a small scientific crucible for the paint, and this has a little lid to pop on top to protect the gouache when I need a break. A small jam jar of water is available for washing the pen nibs frequently, as well as a jar of fresh water and an ink dropper to add water to the paint when it gets a bit sticky. Then, just in case, another jar of clean water, a fine brush, and an electric eraser for the times when I make a mistake. I also always sharpen the nibs before writing; this ensures that the letter-strokes are clean and crisp. But all these are the nuts and bolts of what is certainly not a nuts and bolts job. First, it has been absolutely crucial to have a marvellous team at the hospital, especially Kathy Ramsay and Senior Chaplain Jim Linthicum who collate the names and ages, check, check and check again (and some of the names do need a huge amount of checking with combinations of consonants that are very difficult to pronounce), and contact the parents at what must always be a very difficult time to ensure that everything is correct. However, even more than this, it is about the children. Many of us have never been through the incomprehensible and devastating experience of losing a child. When I am writing out the children’s names I think about each and every one – their names and then their ages – those that are only a day or so old; the bigger babies who may be sitting up or even starting to walk; the toddlers talking away and such a cause of enjoyment; children who may have just started school and then growing up, and the teenagers, and even the few in their twenties; all are someone’s child, and the loss must be impossible to bear. Recording their names in these wonderful books means that, no matter how short their lives, each child is remembered and is not forgotten. What has always impressed me about Great Ormond Street as well is that the sense that I get from them is the joy and delight of children while they are with us and how valuable that is. 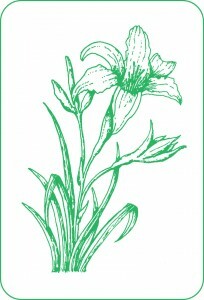 The verse of Ben Jonson’s poem, written at the beginning of the first volume (right), does seem to sum it up, and the illustration of a day lily (above) is on the front of the card that was sent to parents. This entry was posted in Blog, Calligraphy and lettering and tagged Book of Remembrance, calligraphy, calligraphy gouache, Great Ormond Street, guidelines, pen nib sizes, Schmincke Calligraphy Gouache on 16 May 2014 by Patricia. This entry was posted in Gothic Black Letter, Video and tagged ampersand, ascenders, calligraphy, descenders, Gothic Black Letter, Gothic Book Script, Gothic Textura, guidelines, ink, letter families, lines, nibs, numerals, pen nib angle, pens, punctuation, stroke, x height on 15 April 2014 by Patricia. This entry was posted in Gothic Black Letter, Video and tagged ascenders, calligraphy, descenders, Gothic Black Letter, Gothic Book Script, Gothic Textura, guidelines, ink, letter families, lines, nibs, pen nib angle, pens, stroke, x height on 14 April 2014 by Patricia. This entry was posted in Gothic Black Letter, Video and tagged ascenders, calligraphy, descenders, Gothic Black Letter, Gothic Book Script, Gothic Textura, guidelines, ink, letter families, lines, nibs, pen nib angle, pens, rules, stroke, x height on 14 April 2014 by Patricia. This entry was posted in Gothic Black Letter, Video and tagged ascenders, calligraphy, descenders, Gothic Black Letter, Gothic Book Script, Gothic T, guidelines, ink, letter families, lines, nibs, pen nib angle, pens, stroke, x height on 14 April 2014 by Patricia. 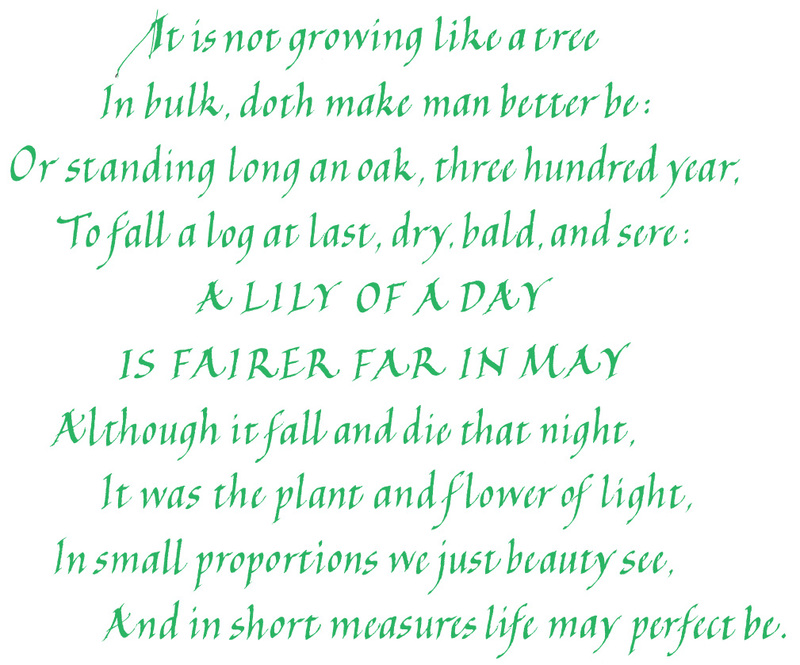 This entry was posted in Uncial, Video and tagged ascenders, calligraphy, descenders, guidelines, letter families, majuscules, numerals, pen nib angle, stroke, Uncials, x height on 24 November 2013 by Patricia.